Do you need more traffic for your website? I’m sure your answer is yes – we all need. Everyone wants traffic to their site whether you’re running a Startup or a Small business. But for that, you need to make sure that you have a proper presence on all the digital channels including social media and all the search engines. 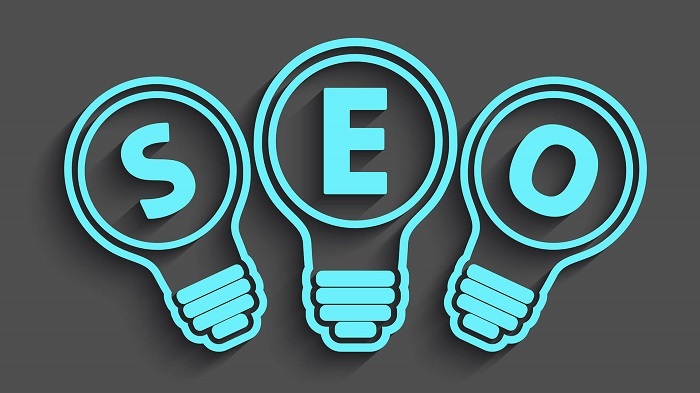 Search engine optimization (SEO) is important for all startups or small business this will help you to gain exposure and increase your visibility in search engines (Google, Yahoo, Bing etc. ). If you’re not using the right SEO tips and methods for your startup, it will be difficult for you to stand in a market to compete with others. In this article, I’m providing the list of SEO tips for startups to gain their online presence in search engines. Have you developed the website? This tool helps you to give the answer to the search engines. After developing the website, your first step is to register with Google and Bing webmaster tools and submit the sitemap. The first thing that comes to your mind, why I need to do that? Let me give you the answer, this is the perfect way to inform search engines about your website and all the updates that you will do in the future. And with this tool, you can also find out what search engine know about your content. Here you can create the account for webmaster tool. With Google Webmaster tool you’ll get the information what the search engines know about your website. With Google Analytics tool you’ll get information about your users. For Startups or Small Business owners, it is very needful to know how users interact with your website so as to improve the quality of your content and provide them with a better user experience. With the help of this tool, you’ll get the complete information about your organic traffic, search traffic, Keywords search, Landing page, active users, a total count of users. In short, you’ll get complete reports of your website. For Startups or Small Business owners, Google Places is a platform where people will find you easily on the Internet. Registering with Google Places is free and very easy to set up. You don’t need a technical person to set up an account. Remember that this will also help you to grow your business even if you don’t have a website, through this people will find you on the internet without visiting on a website. People can also give a review of your product or services. As you’re a Startup or a Small Business owner, you need to keep updated your website with content that can be easily read by all the search engines. Work on keywords that well define your business and always create relevant and high-quality content. Most of the startups or small business owners develop their website with a lot of images, videos, Flashy banners, and animations.Try to avoid all these features in starting, as it directly affects the website load time and this is not good for SEO. If you want results in SEO for the long term then, you have to focus on both types of SEO, On-Page, and Off-page SEO. You cannot be based only on adding write keywords, updating unique and high-quality content, fixing site errors, etc. You have to give importance to Off-Page SEO and work on all the Off-Page SEO Jobs like Social Media Marketing, Content Strategy, listed in good directories, writing the press release, etc. SEO is not an easy job, you need experts to get the desired results. Lots of Businesses lose their actual rank when any change happens to algorithms. Keep updating yourself regarding this algorithms so as to change in SEO strategy accordingly. As we all know Social Media Marketing is a part of Digital Marketing but it is very important for Startups or Small Businesses. These Platforms can help you to promote your Business in local and increase the awareness of your product and services. As a Startup, don’t focus on all the social media platforms (Facebook, Twitter, Pinterest, Google+ and Instagram), select one or two platforms that are perfect for your Business and work on that. Always connect with your users and ask them to share your content on their profiles so as to promote your brand or company.